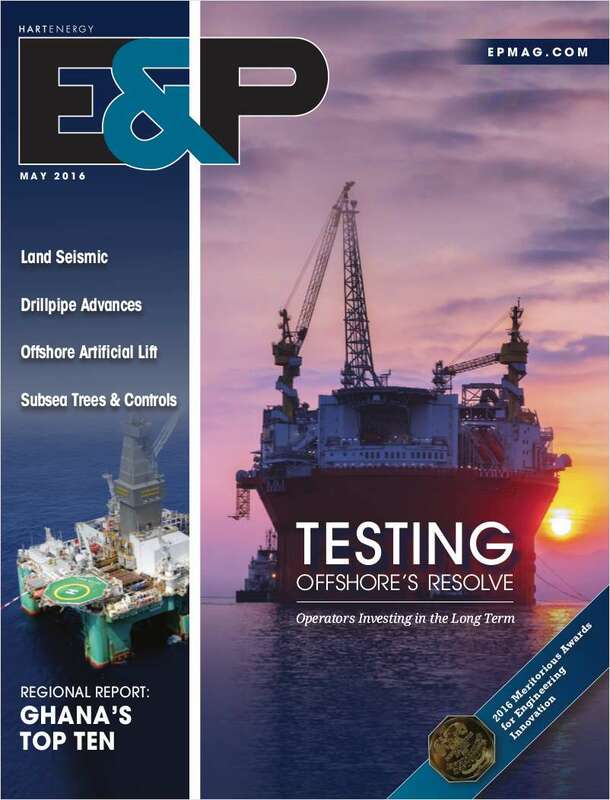 Free Subscription: "E&P (Hart's E&P)"
Is the World's Leading Exploration and Production Publication. By submitting this content request, I have legitimate interest in the content and agree that Hart Energy Publishing, LP, their partners, and the creators of any other content I have selected may contact me regarding news, products, and services that may be of interest to me. By providing your email address and/or fax number, you are granting Hart Energy Publishing permission to contact you regarding your print/digital subscription to E&P (Hart's E&P) magazine and other Hart Energy Publishing products and services. If you do not wish to receive other 3rd party offers by email, please check here. If you do not wish to receive other 3rd party offers by fax, please check here. Do you wish to receive a FREE subscription to E&P (Hart's E&P)? How would you prefer to receive E&P (Hart's E&P)? Do you work in an asset team? In lieu of a signature, Hart Energy Publishing, LP requires a unique identifier used only for subscription verification purposes. What is your eye color? Complete and verifiable information is required in order to receive this subscription. • Geographic Eligibility: USA (Print & Digital Versions available), Selected International (Digital Version only). • The publisher determines qualification and reserves the right to limit the number of free subscriptions.